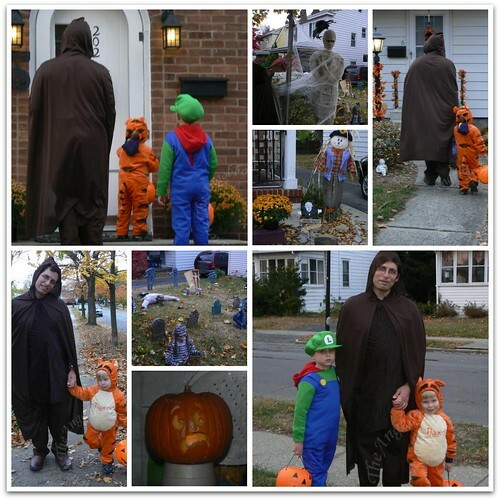 This year, the boys had a lot of fun doing different things for Halloween. After being sick last year, anything was a huge improvement. Friday night, we went to NHL’s school for a party. The boys had a great time playing games, seeing people, and making some goodies. Saturday, it was time to carve our first family pumpkin. Little did I know, it was also the first EVER pumpkin that TechyDad had carved. 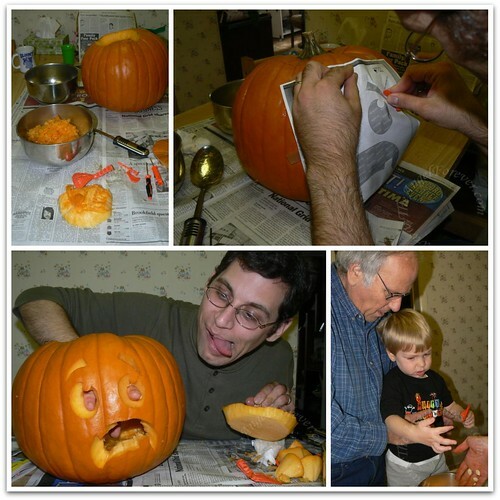 I was floored since I had so many memories of carving pumpkins with my family when I was little. Here are a few photos about this experience. TechyDad wrote more about it on his blog today. 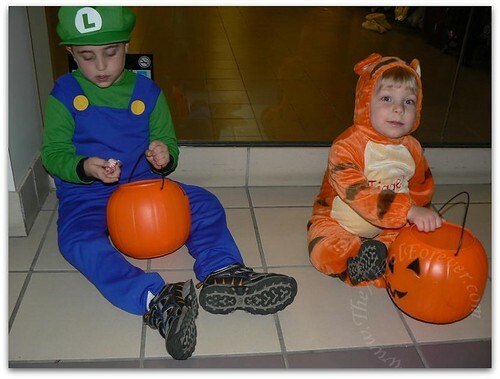 On Halloween, we took the boys to the mall for a short time to get some trick-or-treating done. Thanks to the weather, we were not sure how much we would all want to do outside. The boys had fun, but were getting tired from walking in the crowds. After this, we went back home and then to Nana and Papa’s house. We stayed there to play for a little while and then went to a few of their neighbors before heading back home to see some people here. Then, it was time to head back into the warmer house, take costumes off, eat dinner, and wait for a few trick-or-treaters to come. Before we knew it, we turned out lights off and called it a night. Lots of memories made and two very happy little boys. P.S. This is also serving as my entry in the SITs Girls Halloween Giveaway. Thanks for the fun ladies! Carrie´s last blog post ..A Spooktacular Roundup- Winners- My Sweeties- and YOU! How cute! Looks like you guys had fun! Have you seen? Marni’s Organized Meas is on Facebook now! Will you “like” me?